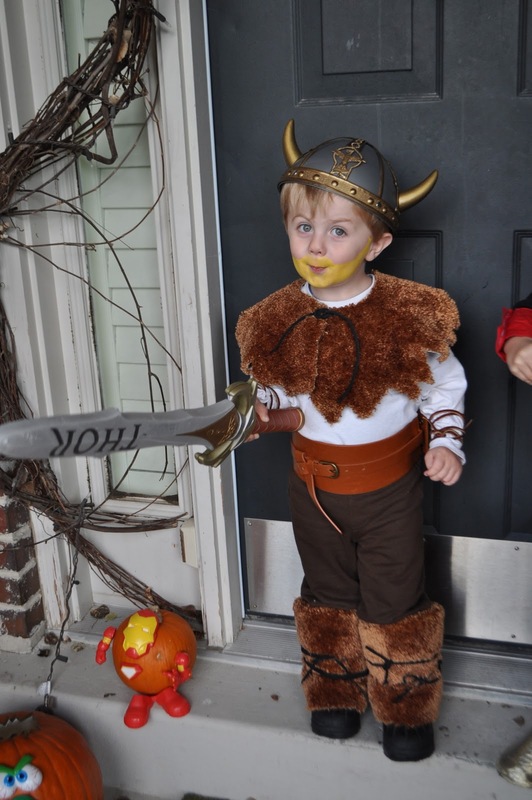 Baden made a great Viking. He even let me paint him a beard. We got snow twice this week! It's always kind of exciting and beautiful in the beginning. Things have finally slowed down a little around here and I've had some time to catch up on all the house work, which always makes me feel so good. Our laundry is clean. The house is tighty. We got a head start on the next Super Heroes of Service project and sorted through all our toys. Ah! I feel like this. I love that moment of feeling like life is under control and in order.....probably because it doesn't last very long. Thanks for reading my blog. You guys make me really happy too. Cute pictures! 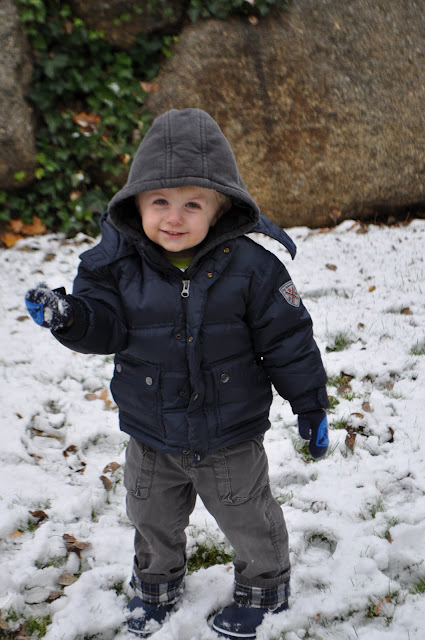 I love the first snow of the season. I just wish ours hadn't come 2 days before Halloween. :( I brought my husband over this morning and showed him your costumes. He nodded and smiled until I told him that you made everything from scratch...including the toilet seat cover "buffalo wrap". THEN, he was floored. Great job Cheri...you totally rock! i seriously CANNOT stop laughing at the ice cream mustache picture. priceless! i hope my boys are half as cool as your boys are when they get bigger! Cutest costumes and attitudes ever! Love the "in the beginning" qualifier about snow. I love the changing of seasons for this reason, "in the beginning" I love love love every season, then I'm ready for the next one. Ha! I revel in that fleeting feeling! Can't wait for the next time I feel it. Halloween is going through a bit of an awkward time over here. Some people get into it but many don't so it doesn't have the same vibe as yours. The shop shelves however, are groaning with all the gear so you can't ignore it. Awkward. Can't believe you already have snow over there. We have about another month or so before ours usually comes down here. I love it at first too. Then I get a little tired of the effort it takes to get everyone wrapped up to go out, then unwrapped to come back in again! 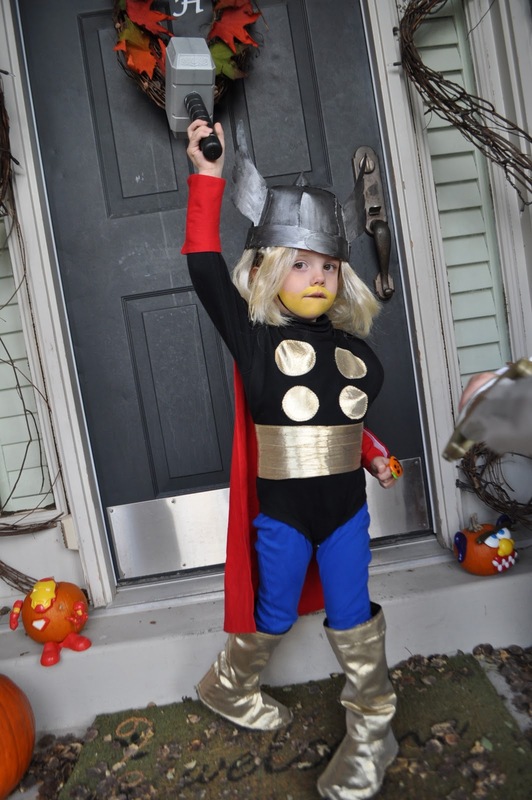 My husband LOVED Thor and insists that our 2 year old dress up as him next Halloween. I'd love any tips on what you used to make your costume!